The story of the 19th century New Zealand Wars, a part of New Zealand's history that many people wish they knew more about. The book describes how the wars came about, where and when they were fought, who was involved, and how they affected women and children. It explains the emergence of Kingitanga or Maori King movement, the land confiscations and the story of Parihaka. 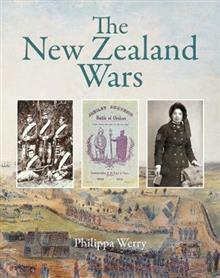 Other chapters look at war memorials, graves and monuments, the work of the Waitangi Tribunal, how the wars have featured in New Zealand art, music and literature, and how they are being remembered today, including new ways of working towards understanding and reconciliation. The story is told in an accessible way full of fascinating detail, eye-witness accounts, illustrations and little known facts, with lists of websites, resources and books for those who want to discover more.